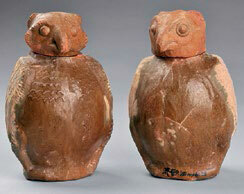 A pair of pottery containers, each in the form of an owl with removable head. The birds aredepicted seated with their wings folded; the details of the claws and feathers are carefully rendered. 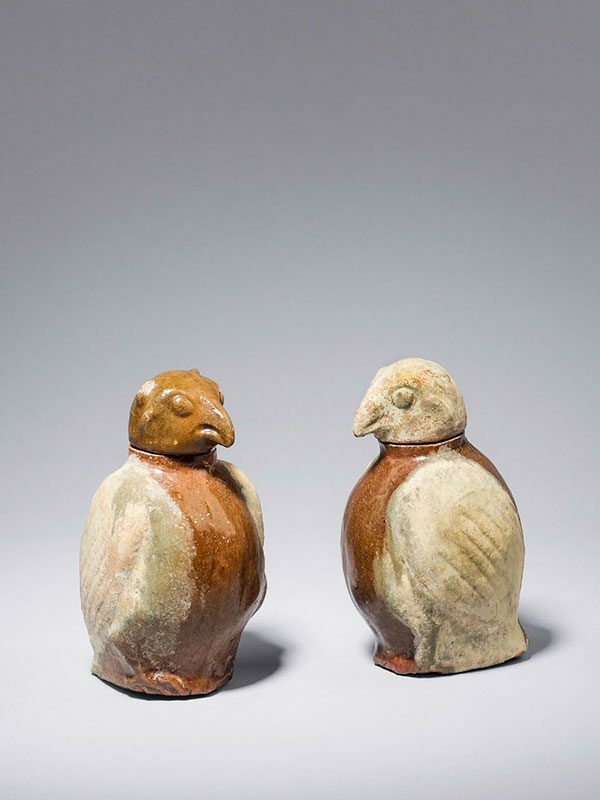 The heads have pointed, curved beaks, small ears and bulging eyes. The red pottery is covered in brown and green lead glazes, which are applied with precision. The green colour has mostly become silvery iridescent.